(IMPORTANT NOTE TO PARTICIPANTS: brackets/seeding are not final until the tournament begins). 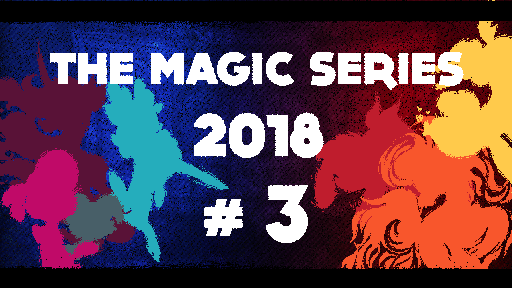 This event is the third tournament in our intended-monthly, online circuit for 2018, wherein we plan to continue hosting associated monthlys in (roughly) the same format culminating in an end-of-year finale! These tournaments, as well as the planned final, are and will remain free of entry fees, and are open to all-comers. Each month will have a base $150 prize pool and the same payout structure, with the exception of the final (finals payouts TBD). All matches are best-of-3 sets, with the winner's finals, loser's finals, and grand finals sets being best-of-5. As with the previous tournaments, all participants are required to check-in on Challonge prior to the tournament, beginning 2 hours from tourney start time. We are also maintaining the 32-player cap established in TMS#2.